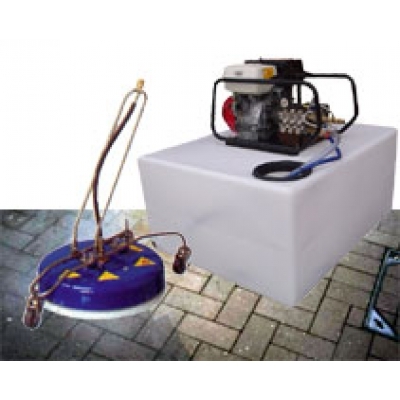 Combination 16" patio surface cleaner with 2300psi petrol pressure washer fitted to 650Ltr baffled water tank. Baffled flat 650 ltr TRANSLUCENT polyethylene water tank, 1250 mm L x 1010 mm W x 570 mm H with moulded internal baffles. Ideal for van mounting, to transport liquids. 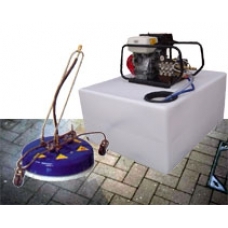 The rotary head is ideal for cleaning all types of flat surfaces including driveways, concrete floors or patios. Operator friendly - reduced fatigue and outstanding productivity.